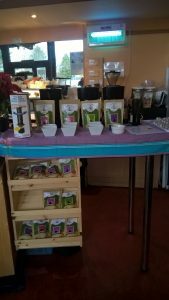 Before Christmas, we had the pleasure of running several coffee taster sessions in the Phoenix Café at Findhorn Ecovillage, here in Moray. They are great hosts, and will carry on holding sessions for us in 2018, as part of their Thirsty Thursday sessions. You are very welcome to come along and join in the fun. It is amazing to me how everyone, even coffee connoisseurs who have really subtle palettes, all have such individualised preferences for the coffee beans. Ahem, I should stress that I am talking about the finest, most organic, high class coffee beans here, so I’m talking about taste differences within that elite group, rather than between beans of a lower calibre 😉 (sorry – pretentious moment). But anyway, Guatemala for one might taste ‘deliciously bitter’, whilst for the other tastes ‘old, like old socks’ (direct quote). Ethiopian Bench Maji Forest might be too earthy and powerful for one person, who loves the subtle delicacy of Ethiopia Sidamo, whereas for another Maji Forest has some oomph and Sidamo is tasteless ‘like drinking air’. 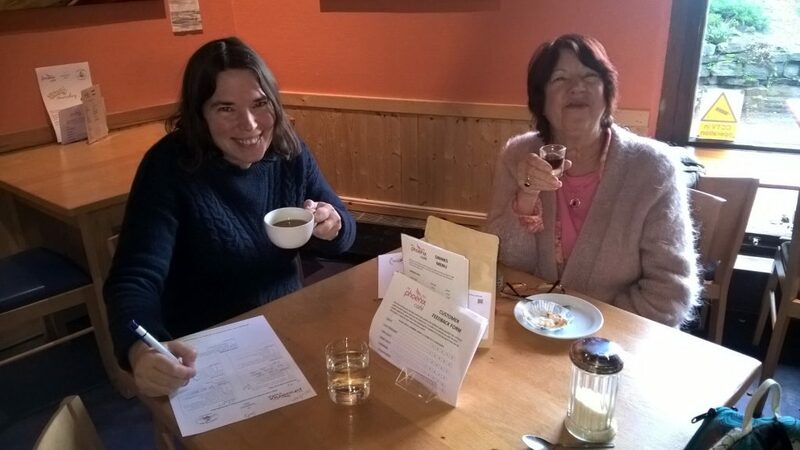 It is fascinating, and actually rather reassuring that even if someone doesn’t take to one of our coffees, many people will – it’s all just personal taste. My own favourite is Maji Forest, but sometimes I think it may be because I love the story behind it. This brings me to point two. 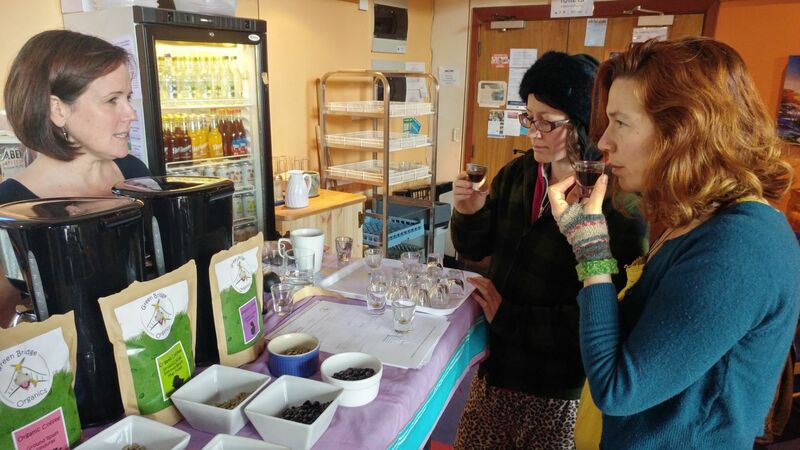 One of my favourite parts of the tasting sessions is explaining to people the magical stories behind the beans. The smell of the roasting beans inspired them to give the beans a second chance, and so they brewed them up and we were all saved! The legend is far from proven, but is true that coffee became a central, almost spiritual tradition in Ethiopia from then on. And then, tasters are even more fascinated to realise that Bench Maji Forest is actually wild growing – not cultivated. It’s true! The beans thrive naturally in the high plateau of rainforests in South Western Ethiopia, and the trees benefit from natural shade and from absorbing the unique flavours and nutritional advantages of their exotic surroundings. They are harvested by hand, and produce lower yields, which is why they cost more. Surely, if you ever heard a reason for paying more for your coffee bean, this story is it! If social activism is more your kind of story, what about the tale of Peru Café Feminino coffee beans for Women’s Empowerment? The story begins in 2004, high in the Andes in far north Peru. Women farmers from this area told their cooperative leaders about their desire to separate their coffee from the men’s. They felt they put more care into their production, actually creating a superior product. A bit of a diss to the men, but how fabulous to have taken such power over their harder work. And it inspired a whole Movement. Today, the Café Femenino Coffee Project is a social program for women coffee producers in rural communities around the world, creating greater gender equality in families, cooperatives, and communities. More than 1,500 women in Bolivia, Colombia, Dominican Republic, Guatemala, Mexico and Peru are active in the project to achieve empowerment, build social and support networks, and earn incomes through the production and sale of the Café Femenino Coffee. Next post: Why is Organic Coffee better? Thank you so much for your lovely comments. 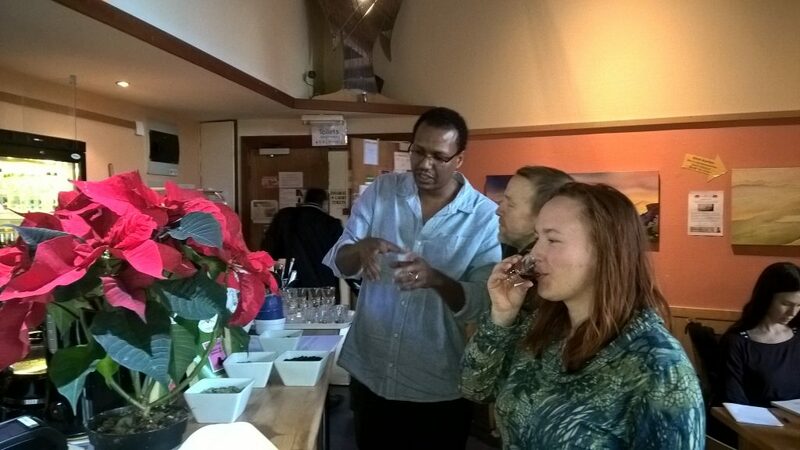 Glad you enjoyed the coffee tasting and the stories, and we promise to keep up the good work 🙂 Enjoy getting back into coffee!